Can’t you resist buying another toy to the collection of your beloved dog? 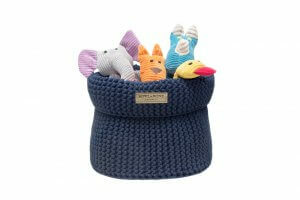 Don’t worry, the Bowl&Bone Republic dog toy basket will help you to control all of the dog’s accessories. The chosen color and the designer weave of the thick string that our baskets are made of – will perfectly match the style of your interior. Each and every toy is very important for your pet, so he likes to have them all within his reach. Place our dog toy basket in an easily accessible place in the flat, so that your pet can reach for the favorite item whenever he wants. Have fun! Your dog and you are a great team that can conquer the world every day. Conflict of interest occurs only when you want to organize your dog’s toys, especially while placing them in one place. All these things are of great value for your dog. Very often, the dog has his favorite toy, which he always wants to have within sight. Although it seems that he abandons it when he gets bored – remember that there is a method in this madness! Dog toys are associated with pleasure – when by chance, he finds a hidden object, his joy is indescribable. 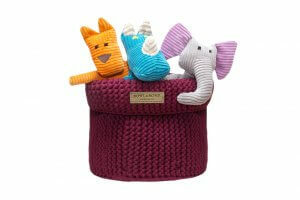 We design the elegant Bowl&Bone Republic dog accessories to meet the needs of pets and their owners. 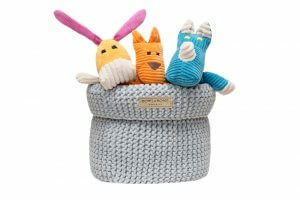 A stylish dog toy basket will be a compromise for you two. It will allow you to quickly organize the mess. 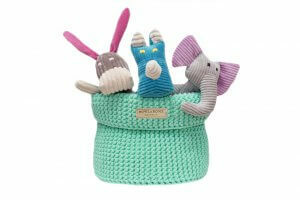 The fashionable weave and selected color will add an exceptionally tasteful look to your interior. 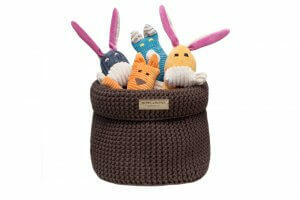 Furthermore, your pet will be overjoyed, because the treasures will always be within his reach. 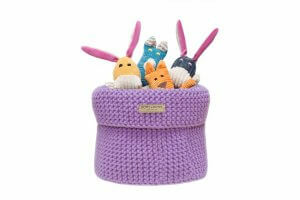 You can place the pet toy basket anywhere and move it anytime you want.